Will You Still Love Me When I’m Gone? From the outset, it is undeniable the passion that Alice exhibits for her work. For all intents and purposes it consumes her and has become her identity, but one begins to question, what about her personal life at home? In her family life. there is a coldness, a pronounced tension between Alice and her youngest daughter Lydia that is not felt with her other children. Her oldest daughter Anne went to law school where she now works in a Massachusetts law firm with her husband Charlie. Anne works within the intellectual property field while Charlie works in litigation. Alice’s older son Tom respectively is in medical school where he is studying to be a cardiothoracic surgeon. Lydia, Alice’s youngest child has turned to a life of least resistance by taking a year to travel after high school and spending the next three years “working” as an actress in Los Angeles. To earn a consistent income Lydia works at Starbucks and as a waitress at a restaurant on the weekend. Alice would like her to take a more traditional approach to life by getting a higher education and insuring her future, while her husband John is supporting Lydia by funding her acting education behind Alice’s back. As great as the disconnect between mother and daughter may be, the one that has the potential to pose the biggest problem is the one between husband and wife. At eighteen Alice lost her mother and sister in a drunk driving accident. After a few days her father couldn’t handle the situation and abandoned her, leaving Alice with no family to rely on from that tragic day January 19th on. She later found out that her father died from cirrhosis of the liver at seventy-one, he was already an afterthought at that point. Alice made it through university, graduations, a marriage, pregnancies, job promotions, and great success all on her own without any guidance from parents, or family. To say Alice has a toughness, a resolve, a determination would be an understatement, and she will need these key qualities as she embarks on one of her toughest battles yet. One of my favourite moments in the book was how in spite of their previous differences Lydia and Alice were able to come together as a result of Alice’s disease. 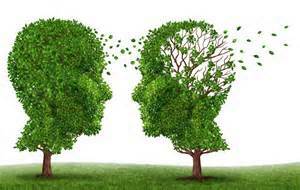 Together they began the formation of a new relationship without the limitations that strained them previously. Knowing that her mother would be irrevocably changed Lydia didn’t make a big deal of her mother’s conditions, or even overreact to potentially hurtful experiences, she tried to make her as comfortable with her disease as possible. To Lydia it brought a feeling back and a level of humanity to a mother that became lost in her work and had repressed her ability to truly love unconditionally. This book reminded me of another book I recently read called We Are Not Ourselves by Matthew Thomas. 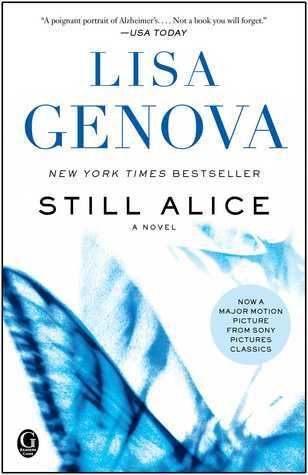 The main difference with Still Alice was that the protagonist’s struggle starts from the beginning of the book and ends with the last page. Positioning the reader so they are thrust into Mrs.Howland’s world from the first word on. In the other book you are given an expansive generational tale of families and immigration leading to the point of diagnosis. Some of the similarities were striking in that the two afflicted characters were quite young at the time of diagnosis, they are both intellectuals studied the neurosciences with great passion, and their partners had to put their own ambitions on hold while being a caretaker for their loved ones. I really enjoyed this book as it provided many talking points for my brother and I as our mother gets older. Like most sons and daughters it’s hard to imagine a parent mentally or physically regressing before your eyes. Images become shattered and a new reality begins. This book forced me to grow up and think on some important things and I am grateful to have read it.This book is highly recommended to all. Issued From Hell, Sent by Angels, or a Transcendence of Time? There Once Was a Girl From…………………….